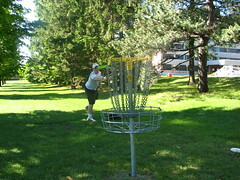 Well, I finished up my eighth straight day involving disc golf today, and in fact, I played 9 out of the last ten days. While, I'm long overdue for a post... but really, there hasn't been too much exciting going on. I'm looking at a couple of job opportunities and should at least receive one offer in the next week or so. 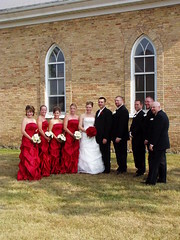 I just returned from a couple of days at my parents house, sandwiched around a trip to London for my friend Rick's wedding to his blushing bride Shelley. It was a lot of fun to hang out with those folks again for a night.